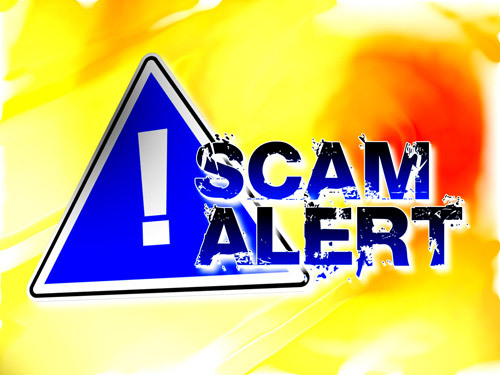 I’m sure by now you have searched the web a lot and you are probably not surprised that their are all kinds of internet scams out there. Well here is one that is only a couple of years old and it’s usually called the China Domain Scam or Intellectual Property Scam. This scam just about looks official, minus the language barrier, no official seals, the method of delivery, and that being the Only method of delivery. The latest attempt was sent to me on July 12, 2011. I must say at first glance, I thought it could be real, but if wasn’t for the fact that I had to closely read it to try to grasp exactly what they are trying to say, I may have responded to it. — The main things that you need to see stand out, causing your mind to fill in the blanks without even actually reading the whole letter to see if it makes sense (which is a well known tactic used in advertising and scams today). If there is one thing that should grab your !attention! is that if it doesn’t make sense then it’s most likely isn’t true. Well There Is An Upside! ! ! You are mostly likely being targeted because you have something that they want– high page rank is very high on that list. Here is the letter that I received and after the letter is a list of more ‘China Companies’ to watch out for. And if there are more letters & websites, feel free to post them here. On Julu 11th 2011, We received Tianhua Ltd’s application that they are registering the name ” wellnesscandles ” as their Internet Keyword and ” wellnesscandles .cn “?” wellnesscandles.com .cn ” ?” wellnesscandles .asia “domain names etc.., It is China and ASIA domain names. But after auditing we found the brand name been used by your company. As the domain name registrar in China, it is our duty to notice you, so I am sending you this Email to check. According to the principle in China, your company is the owner of the trademark, In our auditing time we can keep the domain names safe for you firstly, but our audit period is limited, if you object the third party application these domain names and need to protect the brand in china and Asia by yourself, please let the responsible officer contact us as soon as possible. Thank you! List of more ‘China Companies’ to watch out for. This entry was posted in Online Marketing, Scams and tagged alert, china, CNNetwork .org, domains, intellectual property scam, phishing, rip off, Scam, trademark scam, warning. Bookmark the permalink. Thanks for reading… Glad I could help! Lol… If it were that easy, everyone could set up a site & do it effectively. Who is your target audience? Where is your target? Know them! Think like them! Where to put your product/service? Does anyone want your product/service? What is you goal/strategy? How will you execute it? Sounds like a lot & no where near to the answer to your question; but if you don’t have this first, your website will most likely be useless (after the feeling of having a website wears off). Valuable info. Lucky me I found your site by chance, and I’m stunned why this twist of fate didn’t took place earlier! I bookmarked it. hey there and thank you for your information – I’ve certainly picked up anything new from right here. I did however expertise several technical issues using this web site, as I experienced to reload the site many times previous to I could get it to load properly. I had been wondering if your web hosting is OK? Not that I am complaining, but sluggish loading instances times will sometimes affect your placement in google and can damage your quality score if ads and marketing with Adwords. Well I am adding this RSS to my e-mail and can look out for much more of your respective exciting content. Make sure you update this again soon.. Yes it seems we do have some hosting issues to work out. I am bookmarking your post since I think I must read it once again once I have seriously considered a few of the points you have made. In case almost all authors could possibly compile this sort of excellent quality info like you, viewers will be more apt to understand far more clearly the topic. This article is quite very well done. Amazing is the only word I can find to explain your material. I actually can’t let you know how long it has been since I’ve found this type of marvelous writing. I personally concur with your viewpoints. Excellent work! This article is an appealing wealth of informative data that is interesting and well crafted. I actually applaud your own effort on this particular and thank you so very much for this information. You have got what it takes to get attention. I have gone through many different articles on this topic, but this one genuinely makes sense in my opinion. Thanks for making this info so intriguing and easy to understand.